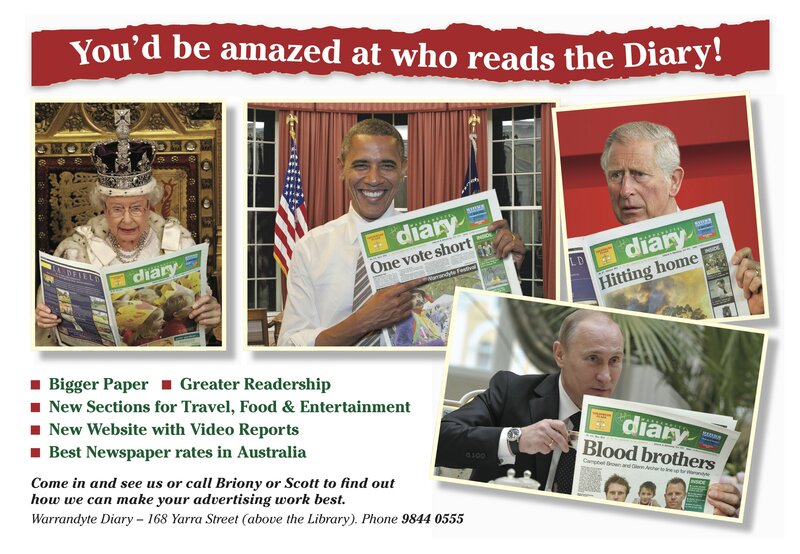 Why advertise with the Diary? Advertising with the Warrandyte Diary is a great way to make sure locals in the Warrandyte region know about your business. Both small and large-scale businesses advertise through the Diary each month, including businesses in hospitality, retail and professional services. Each month our newspaper has space available for advertising material of various sizes, with colour or black and white options. Please see our current advertising rates below for further information.